Post communist countries have gone through a transformation from a centrally planned economy to a free market economy. This entailed a paradigm shift. The organizations operating in those countries had to transform the ways they operated into the ones compatible with the market economy and democracy. They have had to change their organizational culture, their management functions, and more importantly their perception of employees. But there was no known procedure for transforming an organization from one operating in a centrally planned economy to one that has to exist in a competitive environment. Organisations in post-communist countries were trying simply to copy the implementation of “Western” methods and techniques. In recent years these organizations have faced a number of problems since the underlying values and cultural beliefs that underpinned Western practices were in many cases lacking. Simply imitating “Western” management techniques had unforeseen implications for the performance of these organizations. Business Excellence Models have emerged to meet the need for guiding and measuring performance. They have historically been developed in capitalist countries on the foundations of mature values, and are rooted in an understanding and experience of market economies. Post-communist countries are new to these values and experiences and so the excellence models may not work for them. We may need different models based on fresh assumptions to make such models work in transitional economies. Tomasz suggests that existing Business Excellence Models are not directly applicable to companies operating in transitional economies, such as those in Central andEastern Europe. Where companies grew up in the centrally planned economies of the Soviet block they have had to endure changes not only in the mentality of the employees and top executives but also in organizational roles, work rules, and management techniques. Western performance measurement frameworks have faced serious problems when attempting to address issues such as the monitoring of effective deployment. These frameworks took for granted what was not always the case in post-communist organizations. Identify the new criteria of Business Excellence Model that are important for measurement of organizational performance in transitional economies. Incorporate these new criteria into the existing Business Excellence Model in order to create a Modified Business Excellence Model. 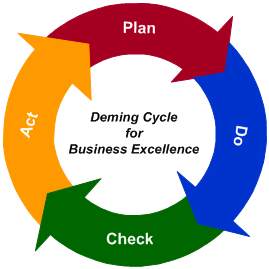 Test and refine the Modified Business Excellence Model by employing it to measure performance in transitional economies. 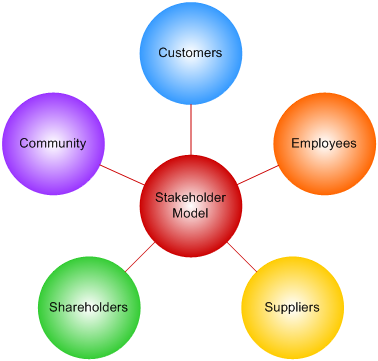 Modified Business Excellence Model (Click on each element for a larger version). Tomasz has exhaustively reviewed existing business excellence models discussed in the literature, and has focused his work on modifying the EFQM (European Foundation for Quality Management) Model. This modified version of the EFQM model focuses on connecting measures of organizational culture, values and communication to assessments of a company’s performance. The insights generated from a number of interviews with the world’s leading companies operating in transitional economies and feedback from existing business excellence models helped to identify new measurable factors which provide appropriate self-assessment towards a continuous improvement process in transitional economies. This is seen as an essential step in helping organizations in post-totalitarian economies to improve their operations and build a more sustainable competitive advantage. This research project was conducted in cooperation with multinational corporations. Feedback from participants has been positive, and has drawn the attention to how the new model can help companies in gaining a wider view as to the impact of the measured factors on the overall performance of organization’s operations. Application of the modified business excellence model has been recognized by all participants involved in this research as an important tool in providing appropriate self-assessment and benchmarking towards a continuous improvement process.